“BUDDHI” refers to “a person awakened”, “wisdom”, “state of mind”, “understanding”, “true nature” in Sanskrit language. It reflects our wish that each of us living in this hurried life enables oneself to have a mind for “retreat” to energize oneself. Is there anything that I can do daily, to be positive, to live as I am? What is it important to be a person with calmness and flexibility? - The answer lies in self-care to “release” what you have, not to “obtain” something new. A drop beside you on any day is to reset your body and mind to be clear. It will freely release the beauty and abilities inside of you…and then, restore you to irreplaceable “oneself”. Having 2 perspectives cultivated by a career in the beauty industry and a small-group cooking class for a long time, Tomoko pursues materials, scents, and feelings that can provide true pleasure to one’s body “at the cellular level” and develops skin care products as a fruit of her experiences. She entered the Kagawa Nutrition University in 2015, to expand her own policy “The core of beauty lies in “food” while being a mother of a child. Being away from the bustle of everyday life, and relieve the body and mind by being sensitive to the five human senses. “If we could embody an idea necessary, especially for women living in the modern age -“retreat”? ” - The oil born from the idea values　“being able to use no matter what day it is” “awaken the original power of skin ” “innocent scents applying to instinct ” over everything else. 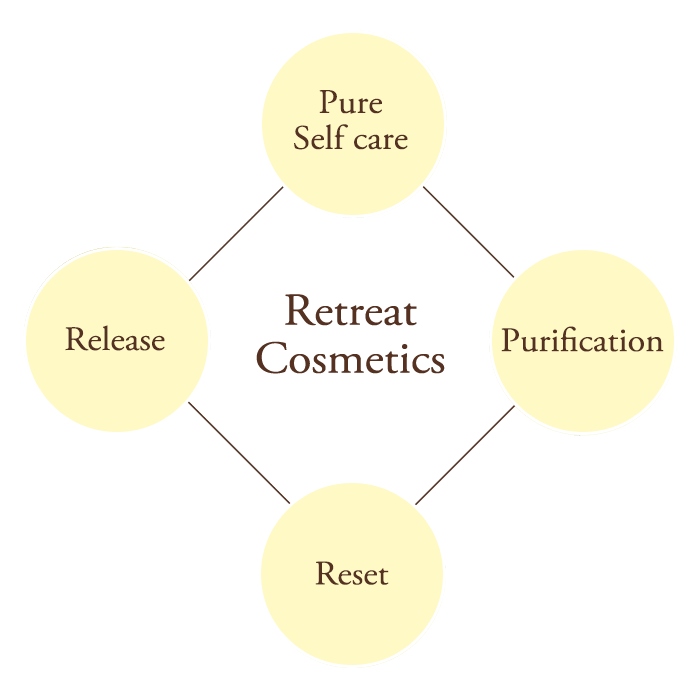 Discover genuine “healthy skin” by right routine use starting from pure self-care. 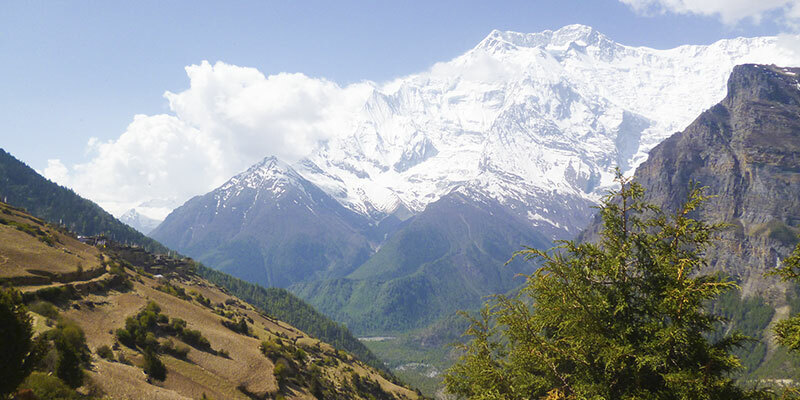 Commercialization of prinsepia oil has been operated by the partnership between us and people in the Himalayan region. NGO&NPOs in Japan established a project by cooperation with the Government of Nepal to raise a value chain of natural resources in the communities for items such as vegetable oils and herb extracts. By establishing a business model where the local people handle cultivation, harvest and delivery of resources, we succeeded in obtaining this rare but high quality ingredient. Moreover, it has empowered rural communities to fight poverty and increase their living standard by up to 25% - sustainable coexistence harmonized with communities. 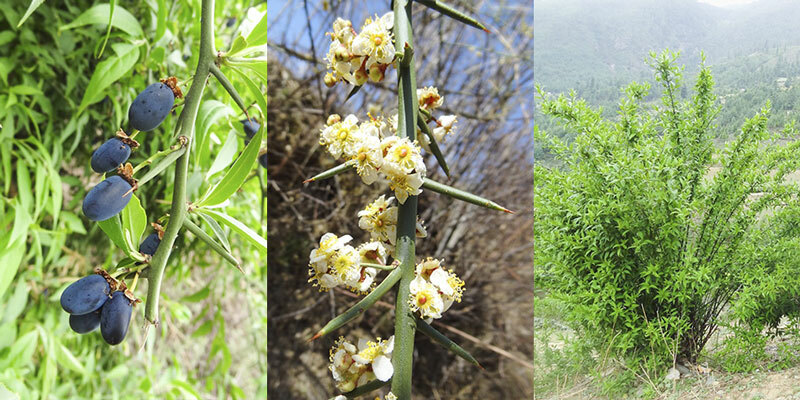 Known as “ Golden oil, bounty from Himalaya”, traditionally used as health food. 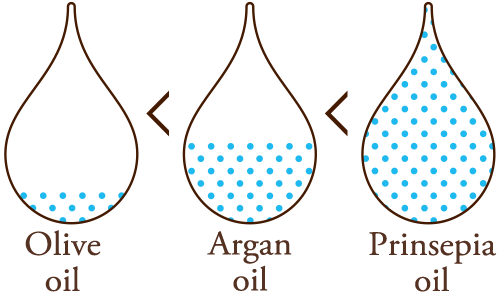 The ratio of three fatty acids (monounsaturated fatty acids, polyunsaturated fatty acids and saturated fatty acids) in its seed is the ideal balance of human skin**. The amount of gamma tocopherol(Vitamin E) is 35 times as much as that of olive oil. “Prinsepia” is a deciduous shrub and is from the Rosaceae family. The ratio of three fatty acids (monounsaturated fatty acids, polyunsaturated fatty acids and saturated fatty acids) in its seed is ideal balance for human skin. 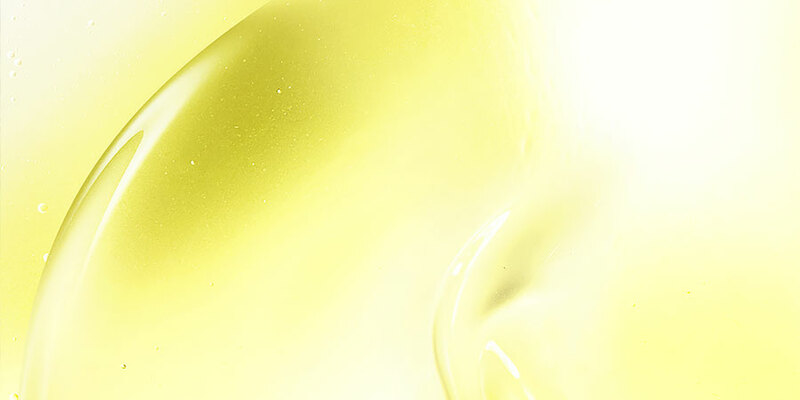 The amount of gamma tocopherol (Vitamin E) is 35 times as much as that of olive oil. 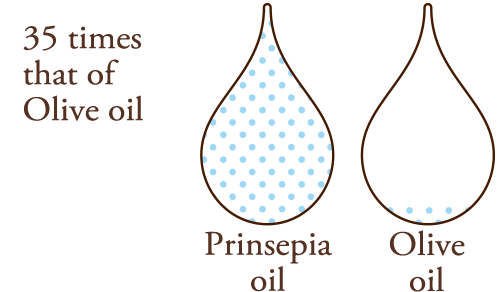 Prinsepia oil is getting attention as “the third oil ” after Argan, and Coconut oil.